I spent most of yesterday diving into a whole new world of magic and fun: Haxe. I was hesitant at first because I was dreading the whole ordeal of setting up a new development environment, but it turned out to be way more straight forward than most set ups I've experienced. 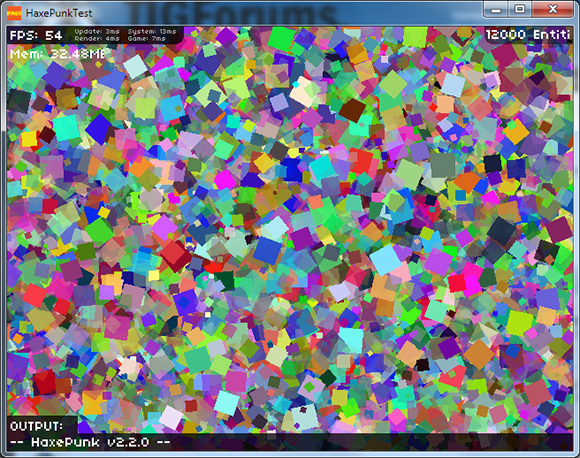 I ended up getting a quick demo of thousands of entities rotating, scaling, and alpha blending at a steady 50-60fps with the Windows build of HaxePunk, and that has me pretty excited!